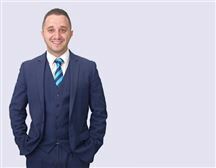 Energetic, enthusiastic and highly skilled, Principal Mark Saleh has worked exceptionally hard to earn an unrivalled reputation for outstanding sales results and customer satisfaction within the Greenacre area and surrounding suburbs. Mark has built a loyal repeat clientele and understands the Inner South West area of Sydney’s demographic and its diverse communities. Mark Saleh is a seasoned performer with a personable, down-to-earth approach who enjoys the daily interaction with clients who benefit from his extensive expertise and local market knowledge. Mark exudes a vibrant, trustworthy and confident approach to handle any sale or purchase. Mark currently resides in Greenacre with his wife and young daughter. Mark is meticulous with presentation, innately personable and extremely down to earth and he is known to provide his time, advice and experience freely. Mark believes that buying and selling should be an enjoyable and exciting process. When experience and local knowledge count, Omar Saadi is a result driven Sales Agent. He expresses genuine respect for his clients’ aspirations and enjoys contributing to people’s happiness by generating positive outcomes. 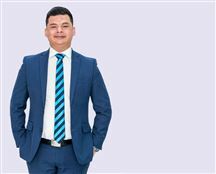 In an ever changing market, Omar is a proven performer, who consistently achieves high clearance rates in Greenacre, Yagoona, Condell Park and Bass Hill. Omar has lived in the area for approximately 15 years and hence knows the streets inside and out. Omar is a moral and caring professional to talk to about taking the stress out of buying or selling. Be Quick before you miss out!